On October 16, 2017, members of the Flour Bluff Citizens Council were joined by city, county, and state elected officials and city staff to hear a presentation on homelessness in Corpus Christi and Flour Bluff. 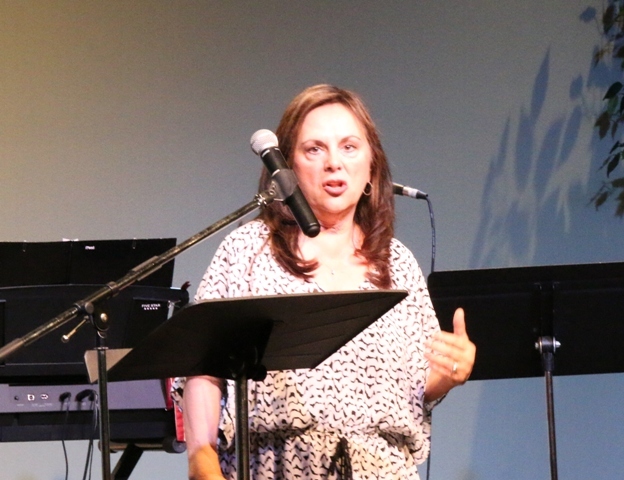 Melanie Hambrick, a Flour Bluff resident who has served on the city’s Advisory Council for Homelessness, Mental Illness, and Substance Abuse, Kae Berry of Timon’s Ministries, and CCPD Chief Mark Schauer helped to educate the residents in the audience at the regular general meeting held at Grace Community Church on Flour Bluff Drive. Hambrick began her part of the presentation with a definition of homeless. “Though many definitions exist, for our purposes we will define homeless as chronic, those who have been continuously homeless for one year; transitional, individuals who have experienced a single episode of homelessness lasting an average of one to two months; and episodic, an individual with three or more episodes within the last year rendering him homeless,” she said. Hambrick said that research indicates the primary reasons for homelessness to be addiction, poverty, lack of housing, lack of affordable health care, domestic violence, and mental health issues among others. “The number of homeless changes daily, and finding these individuals to talk to them about their personal experiences is challenging and therefore cannot be accurate,” stated Hambrick. Data based on the 2017 Point-in-Time Survey of 611 individuals in Corpus Christi. This annual survey is required by the U.S. Dep’t. of Housing and Urban Development. “There are lots of factors that contribute to chronic homelessness. When people are released from public institutio or public systems without adequate discharge planning, they are more likely to become homeless,” said Hambrick. “Adequate discharge planning is a crucial element to the long-term success of these individuals. 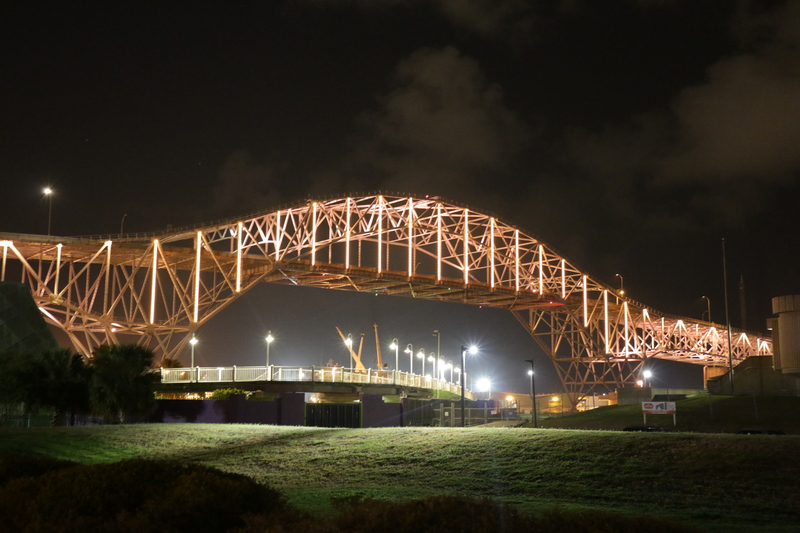 Reasons given include release from correctional institutions, release from hospitals, release from mental institutions, children aging out of foster care, and migration for jobs.” Hambrick added that Corpus Christi becomes a destination for the homeless because of the mild winters and places that lend themselves to living outside, such as bridges, brushy areas, and beaches. “All of this does come with a cost to the taxpayer,” said Hambrick. Though she did not have exact data for Corpus Christi, Hambrick gave the national average, which is estimated between $30 and $40 thousand per individual annually. “This cost is absorbed by many. For example, the cost for processing and holding of individuals in correctional institutions, hospitals that do not refuse those who seek medical attention, and court-appointed attorneys who represent those who have been arrested, to name a few.” This does not include the cost to clean up homeless camps in public spaces and parks, which would be absorbed by the Solid Waste Department or the Parks and Recreation Department. According to Berry, running Timon’s costs about $323,000 a year to operate, most of which comes through grant funding. Hurricane Harvey did damage to the Timon’s building, leaving them with a 30-year loan for its repair. When clients do not behave, Berry said they call the police and issue a criminal trespass. Timon’s Ministries is located at 10501 South Padre Island Drive next to Pizza Hut and is open from 12:00 p.m. to 1:00 p.m. daily. Berry can be contacted by phone at 361-937-6196 or by e-mail, timonsministries@sbcglobal.net. Representatives from law enforcement agencies were present at the meeting, including Constable Mitchell Clark and Chief Mike Markle who brought several officers to answer questions. “We often receive phone calls and emails from the public asking what we’re going to do about the homeless. Unless a crime is committed, we can’t do much. Homelessness is not a crime. I understand the frustration of property owners. I’m a property owner of Flour Bluff,” said Markle. “When crimes are committed by the homeless, we deal with those. However, homeless folks, more often than not, are victims of crimes rather than instigators of crimes,” said Markle. “We do have many homeless because they see Corpus Christi and its mild climate as a destination city. They see this and the very giving and charitable nature of the city as reasons to come here, so they get on a bus or get a ride and head down here. I doubt that Corpus Christi will ever be without homeless. It is more of an issue of co-existing and everyone maintaining qualities of life while being charitable, while being cognizant of the law, while enforcing the laws so that others aren’t impacted negatively by their presence,” continued Markle. He encouraged the residents to get in touch with Captain Lee Weber who is the district captain in charge of the Flour Bluff area. He can be contacted by phone (361) 826-4052 or email: weldonw@cctexas.com. “When I got this job, I had been homeless for about five months, but it’s a different kind of homelessness. You can’t paint everybody with the same brush of homelessness. Some are homeless because of domestic violence, some for drugs and emotional conditions. You have young people being kicked out of their homes. The average age of the homeless, as I learned from serving over four years on the Metro Ministries board, is sometimes nine years old. A mother with kids drives down the average age, and there are lots of mothers with kids who have no place to go,” said Shauer. Schauer shared with the audience information about homelessness in Corpus Christi and Flour Bluff that he and other officers received from a two-year survey with over 400 homeless people. “We learned that a lot of the people interviewed were homeless less than a year. Many were not from here but didn’t say why they came here. A lot of them admitted to having drug and psychological problems. Some who said they didn’t have psychological problems admitted to being treated for psychological problems,” said Schauer. Some of the homeless activity, Shauer said, takes place on private property, and the police cannot legally get back in there without the permission of the property owner. 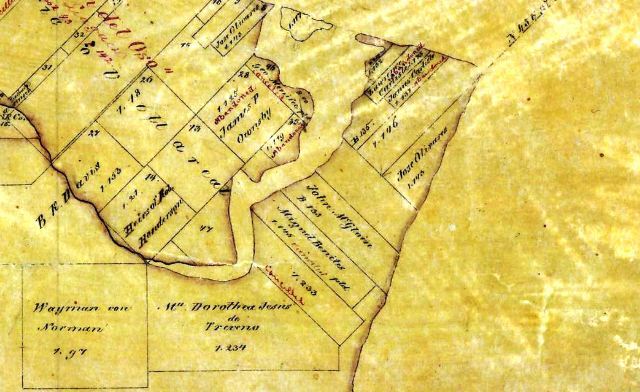 “Flour Bluff is unique in that it has large, brushy areas privately owned by oil companies and such, but without their express permission or a direct request, we can’t just go onto the property. Some of these camps are elaborate and look like Apocalypse Now. If you see them and tell us, then we can address it through the property owner,” he said. When asked by a Citizens Council member why these people are not made to work even though they appear to be able to do so. Shauer responded by saying that some are truly disabled mentally or physically; some will but look for ways to sue the property owner; others do work at Metro Ministries and earn their keep; still others simply do not want to work. At the Rainbow House, the women are working or going through a job program, and all the kids are in school or in childcare Shauer explained. Shauer was asked if anyone had used drones to fly over some of the larger brush-covered areas to locate homeless camps. “No. We have to respect private rights, too. 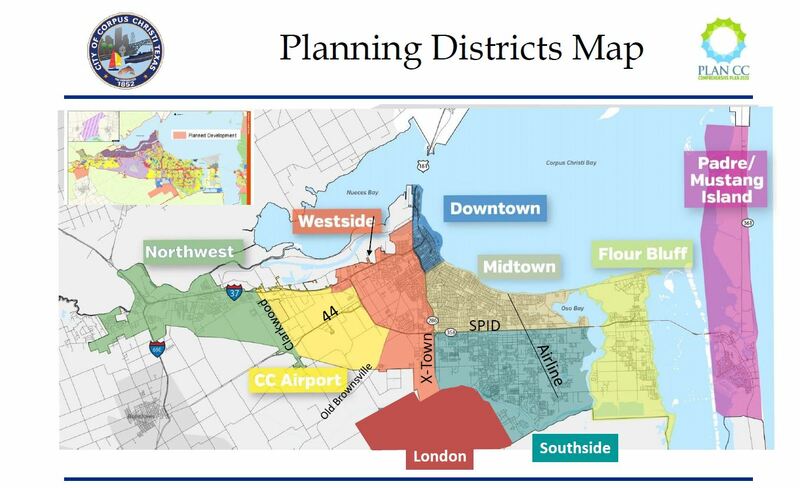 Just about everything out here (Flour Bluff) is privately owned, and we would need the permission of the property owner to do something like that,” Shauer said. 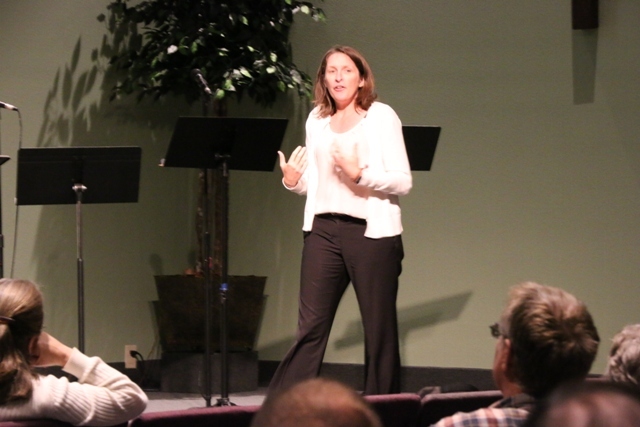 Melanie Hambrick talked about possible solutions. “Many components are necessary for a successful plan to end homelessness,” she said. “However a plan is just a plan if no action is taken. It is clearly a waste of time and effort. This is a community issue, and government can only be part of the solution.” Hambrick outlined some actions that could be taken immediately, such as locating a coordinated entry center for those in need where they will be met with a process that will maximize potential assistance in changing the homeless person’s current situation. 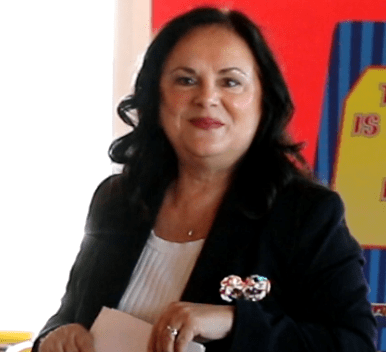 She added that service organizations that work in tandem with the Texas Homeless Network will provide solutions and pathways for individuals to become self-sufficient. “This will also aid in our ability to collect true data on homelessness in our area,” Hambrick added. Hambrick stated that all who are serving the homeless in some way should take a “collective impact approach” to combat homelessness. 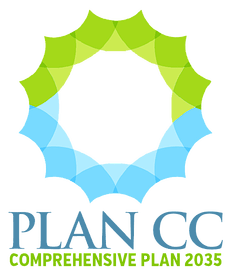 “This means that previously independent and uncoordinated programs in Flour Bluff that address the needs of the homeless should be coordinated to work toward common goals. Leadership and civic engagement should be collaborative at all levels across all sectors,” she said. 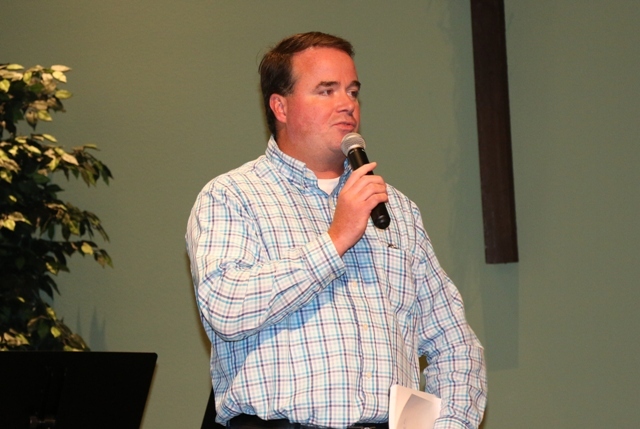 The FBCC meeting ended with an appeal to the churches, businesses, and residents to take an active role in helping solve what is a daunting task for any community. Coordinated entry to ensure that all people experiencing a housing crisis have fair and equal access and are quickly identified, assessed for, referred, and connected to housing and assistance based on their strengths and needs. Parks and Recreation Homeless Workers Program, which is based on the City of Albuquerque’s “There’s a Better Way” Program. Workers will pick up trash and beautify the city and will work in conjunction with the Community Service Workers Program in the Parks and Recreation Department. Tent City / Tiny Homes in which city could partner with businesses to build a tiny home community by providing city-owned land and CDBG funding to build bathrooms and showers where residents would be charged a reasonable rent fee. Family Reunification Program, which is a one-time use program designed to reunite homeless with supportive family outside of Corpus Christi. FBCC members listen while Stacie Talber Anaya, Director of Parks and Recreation, explains what is in store for Flour Bluff parks. 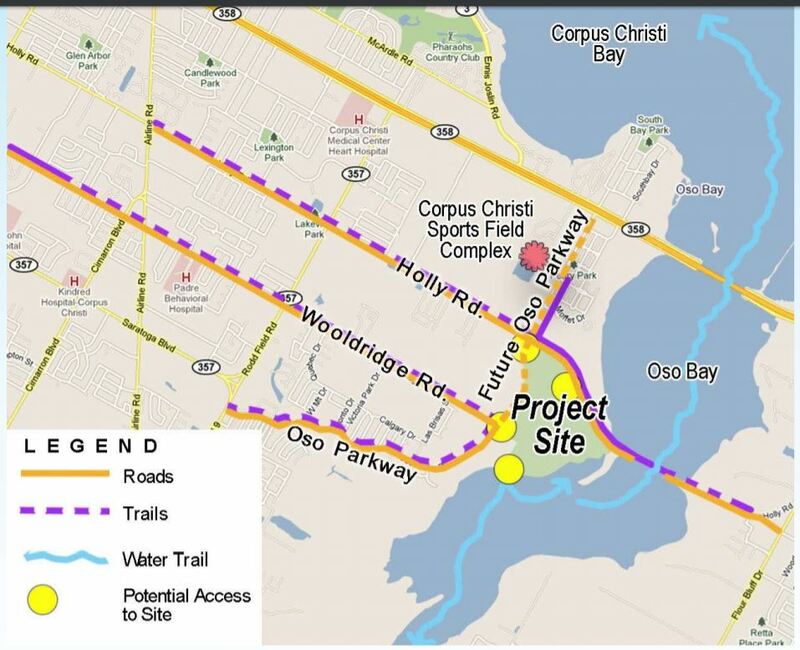 Plans for an extension of the Oso Bay Wetlands Preserve and Learning Center, a 162-acre nature preserve accessible by using the walk-in entrances along N. Oso Parkway and from the Holly hike and bike trail, sits just across the Oso from Flour Bluff. Anaya said that she and her group are working on making the park accessible to the Flour Bluff community via a hike and bike trail across the existing railway bridge. 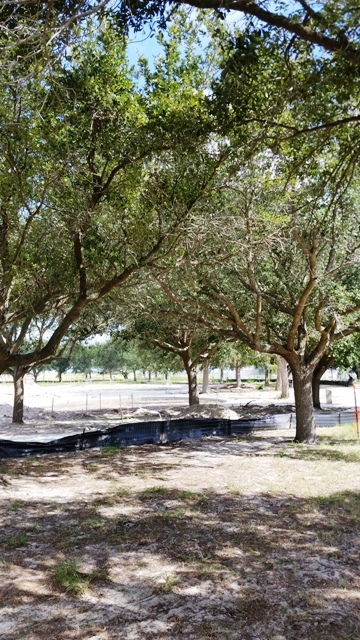 She said that the plan includes the walkway, fishing spots along the bridge, and perhaps even a trail head parking area at the corner of Flour Bluff Drive and Division Road, a property purchased two years ago by the city to build a citizens collections center, a facility opposed by those who live and own businesses closest to the area. Anaya’s idea for the property received many nods from the crowd who also want to see the property used for a more family-friendly space. Anaya also discussed how the Community Enrichment Fund dollars (funds received from developer fees, other donations and interest earned in the Community Enrichment Fund) are used. The Unified Development Code (UDC), requires that the fees be used for the acquisition or improvement of parks most likely to serve the residents of the subdivision. 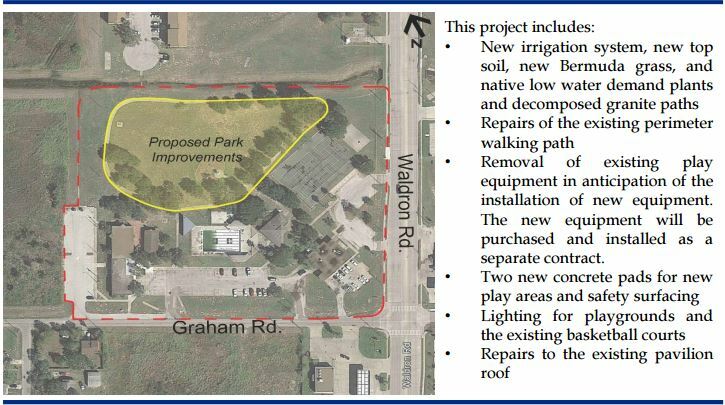 Community Enrichment Funds shall be used only for parkland acquisition, park development and park improvements including utility extensions required to serve recreational areas. The last appropriation of Community Enrichment Funds was approved by City Council on July 19, 2016. The next appropriation will be made following approval at the January 24, 2017, council meeting. Joining the FBCC members at the January 23, 2017, general meeting were City Manager Margie Rose, At-large Council Members Paulette Guajardo and Michael Hunter, District 4 Councilman Greg Smith, and Gaye White of Todd Hunter’s office. Pastor Jess Cole of Grace Community Church offers the church for the FBCC meetings, of which the group is very appreciative. As an added bonus, Better in the Bluff t-shirts were raffled to the members in attendance. Anyone who wishes to purchase a shirt at a cost of $16 ($4 goes to the FBCC for each sale) may visit Caption Tees by following this link. 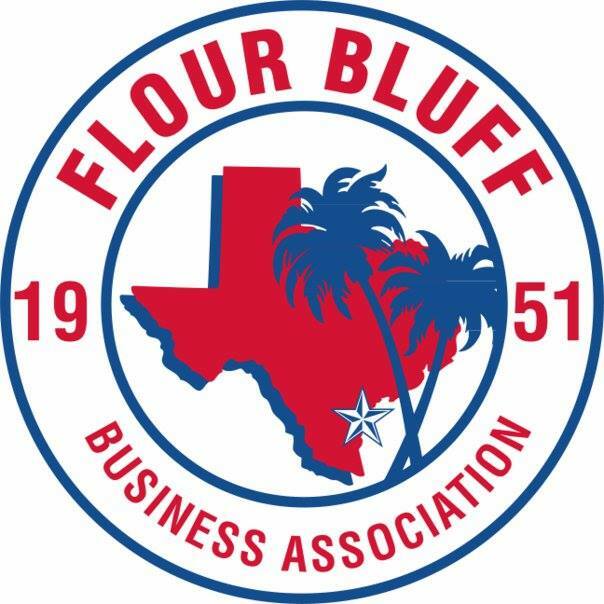 Newly-elected District 4 Councilman Greg Smith addressed the Flour Bluff Business Association members at the general meeting held January 11, 2017, at Funtrackers in Flour Bluff. 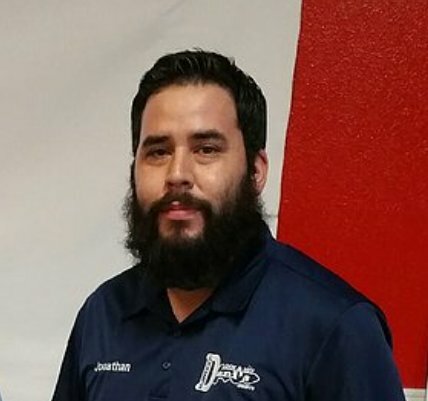 Smith, a native of Flour Bluff and small business owner, has been a community activist for many years, especially in the areas of windstorm insurance, desalination, water, electrical transmission, and coastal erosion and protection. He is currently a member of the FBBA and of the newly-formed Flour Bluff Citizens Council. Smith gave an update on some of the issues the City of Corpus Christi is facing. He spoke about the $870 million budget ($2.4 million per day) and how the city is carrying one of the highest debt levels in the nation in terms of debt compared to revenue. 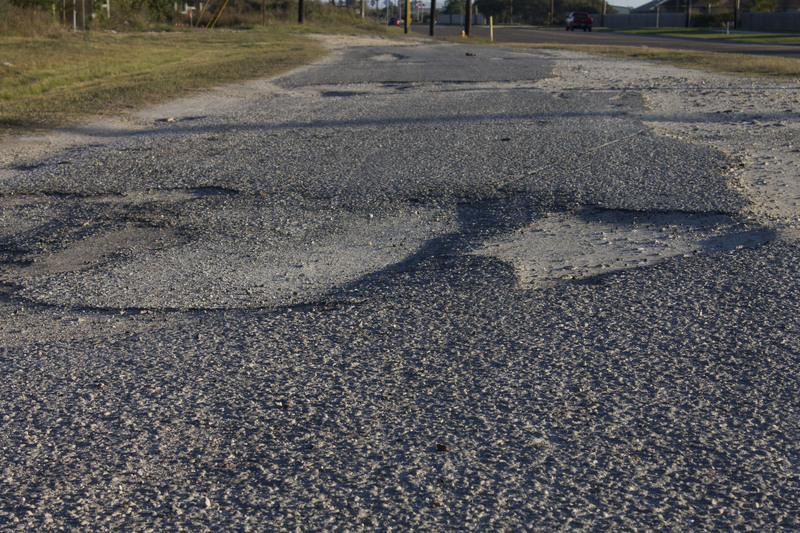 He added that this debt level could very easily prevent the city from borrowing money for much needed street repairs. “We have borrowed to the limit,” said Smith. Smith outlined a few of the big-ticket items. He assured everyone that the pension fund is much better than before, with $70 million going to the Corpus Christi Police Department and $50 million going to the Corpus Christi Fire Department. When discussing recent city efforts to consolidate the waste water plants, he asked, “Do we really need to consolidate our plants?” Presently our sewer cost is second highest in the state. Out-going president, Melanie Hambrick, was recognized by newly-elected president, Jennifer Welp, for her service on the board. Hambrick is credited with actively growing the association and building positive relationships with local, state, and federal agencies. President Welp will lead the new board which includes Vice-president Roshan Bhakta, Secretary Shirley Thornton, Treasurer Jonathan Vela, Programs Director Michael Morgan, Membership Director Lynn Kaylor (appointed to replace Jeff Rank who resigned in December), Director Mark Thomas, Director Tom Hollingsworth, and Director Cliff Zarbock (appointed to replace Melanie Hambrick who resigned in January). Welp expressed how she is looking forward to serving with the new board and growing the association even more. 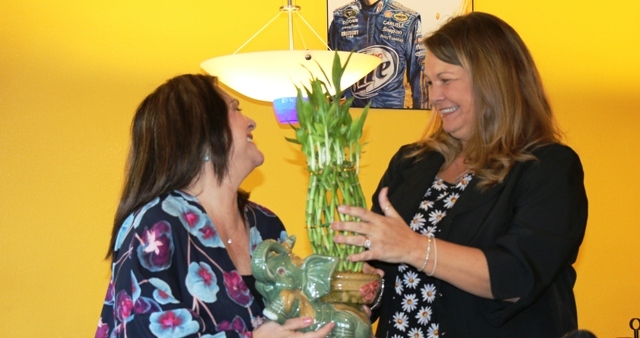 President Jennifer Welp thanks Melanie Hambrick for her work on the FBBA board, serving as both a director and as president. Welp recognized new member Hilde Hermann of First Direct Financial, a credit card processing company located in Flour Bluff. Member Susan Lawson reminded everyone to support the Parker Pool Patriots. Elaine Motl of Barefoot Mardi Gras updated the group about the plans for a bigger and better Mardi Gras Beach Parade on February 25, 2017. The event is a fundraiser for Big Brothers Big Sisters and the island charter school. 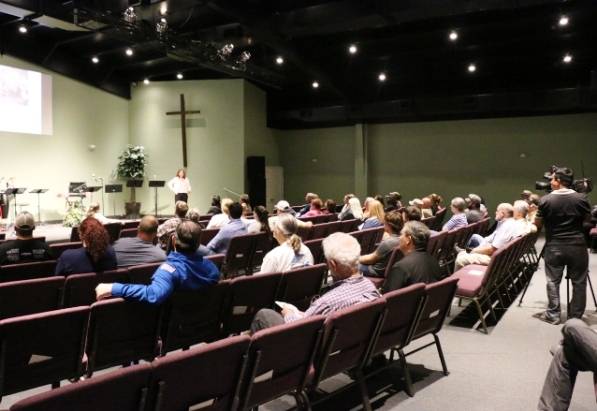 The board of directors held a financial workshop immediately following the regular meeting. Next month, the FBBA will host its regular meeting at noon on February 10, 2017, at Funtrackers. 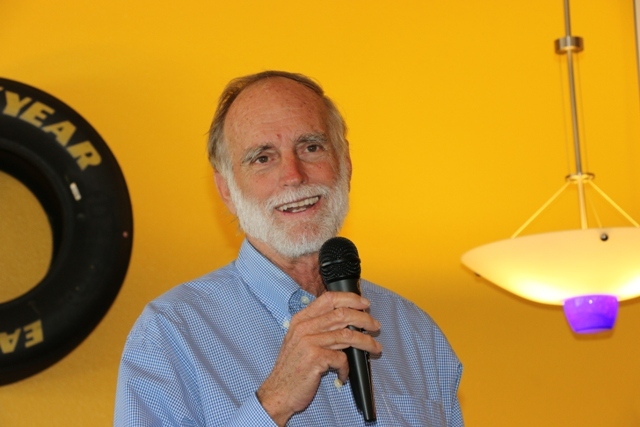 The keynote speaker will be Jim Lago, the host of the long-running morning show “Lago in the Morning,” on KKTX radio here in Corpus Christi. Lago was recently named to the Texas Radio Hall of Fame. 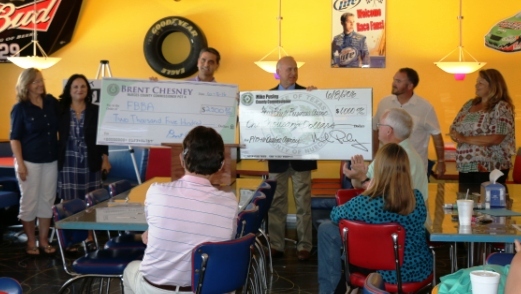 At the regular meeting of the Flour Bluff Business Association on June 8, 2016, County Commissioners Brent Chesney and Mike Pusley presented the association with two checks totaling $3500. FBBA President Melanie Hambrick along with other FBBA board members graciously accepted the checks on behalf of the members. “We want to offer you some money to help you with the things that you do that are so important,” said Chesney, referencing the upcoming Flour Fest set for September 17, 2016. Commissioner Pusley added, “We have a little money that we give out each year to different organizations to help stimulate the economy in our county. 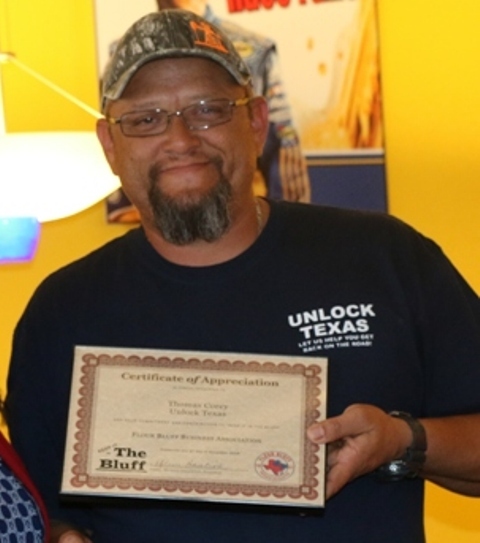 With all the great things that are going on out here in Flour Bluff, it’s hard not to recognize that and help spur it forward.” He went on to thank current and past boards and members for their work in the area. Jeff Rank thanked the commissioners by awarding them with Keep It in the Bluff t-shirts. Michael Morgan, FBBA Events Coordinator, welcomed U.S. Representative Blake Farenthold to the April 6 meeting. The congressman is serving his third term in Congress representing the 27th District of Texas. Representative Farenthold is working towards a smaller, more accountable and transparent government through his service as a committee member on the House Oversight Committee, the Transportation and Infrastructure Committee, and the House Judiciary Committee. Prior to being elected to Congress, his diverse career included working as a conservative radio commentator, seven years of law practice with the Kleberg Law Firm, and founding Farenthold Consulting LLC, a computer consulting and web design firm. He continues to pursue his passion for broadcasting, appearing frequently on radio and television. 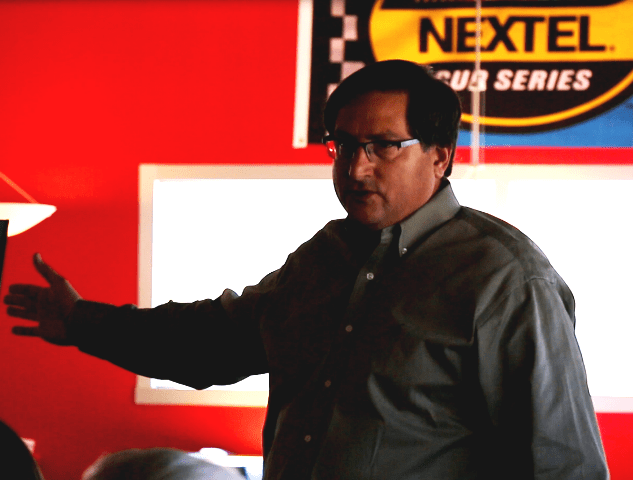 Farenthold addressed a great many topics with the group. He talked a little about the primary election and the presidential election, assuring everyone that the Congress still has its work to do no matter what is happening with the elections. Proud of the work that he has done, he looks forward to the possibility of working with a Republican president. 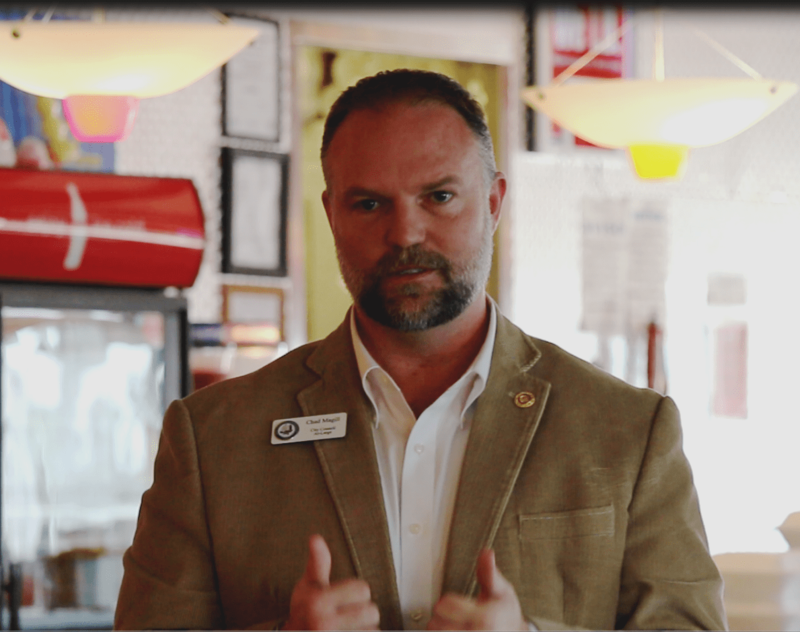 “We want actual legislative language that will indicate the changes to be made in the tax code. We have to lay out what we as conservatives want,” said Farenthold. 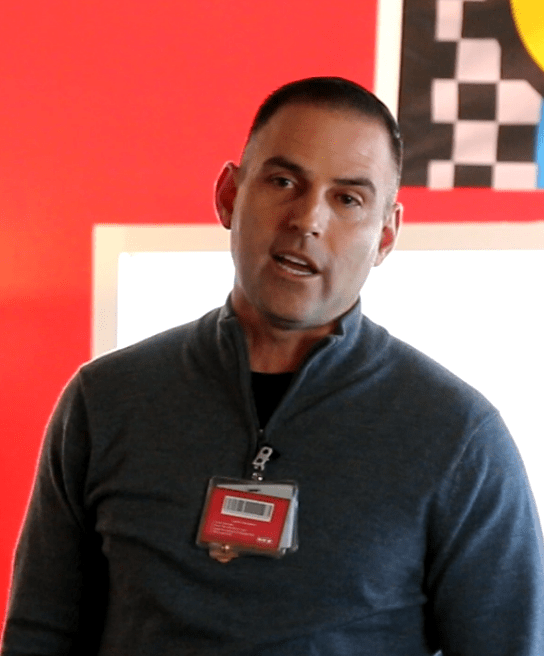 Section 8 housing projects and the role of the federal government. 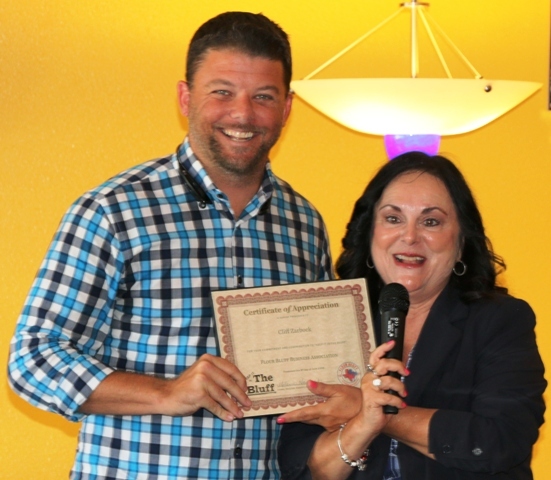 Larry Teeter was given a certificate of appreciation for the past 16 years he has spent with the Flour Bluff Business Association. Spotlight of the Month: NavyArmy Community Credit Union representatives Mary Mata and Dan Tribble accepted the award. Meeting dates for the FBBA will be moved to the second Wednesday of the month starting in May to make it easier for more members to attend. The time and place will remain the same: Noon at Funtrackers in Flour Bluff. The new website is up and running. Visit it here.